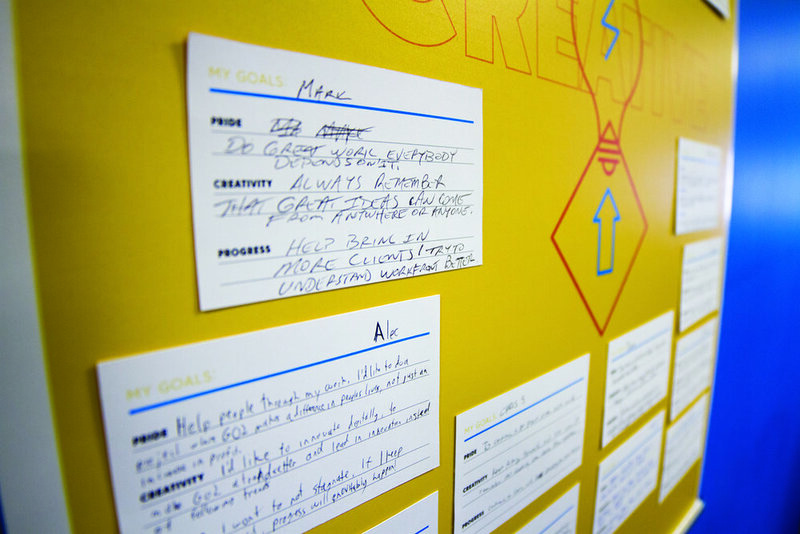 GO2 is a creative communications agency specializing in employee empowerment. We build tailored strategies and tools to help our clients engage their employees and enable their frontline to do great work. So, why wouldn’t we do the same for our own employees? On a Friday in September of 2016, GO2 closed the office and hosted an off-site retreat to bring everyone together and work on our own engagement and teamwork. 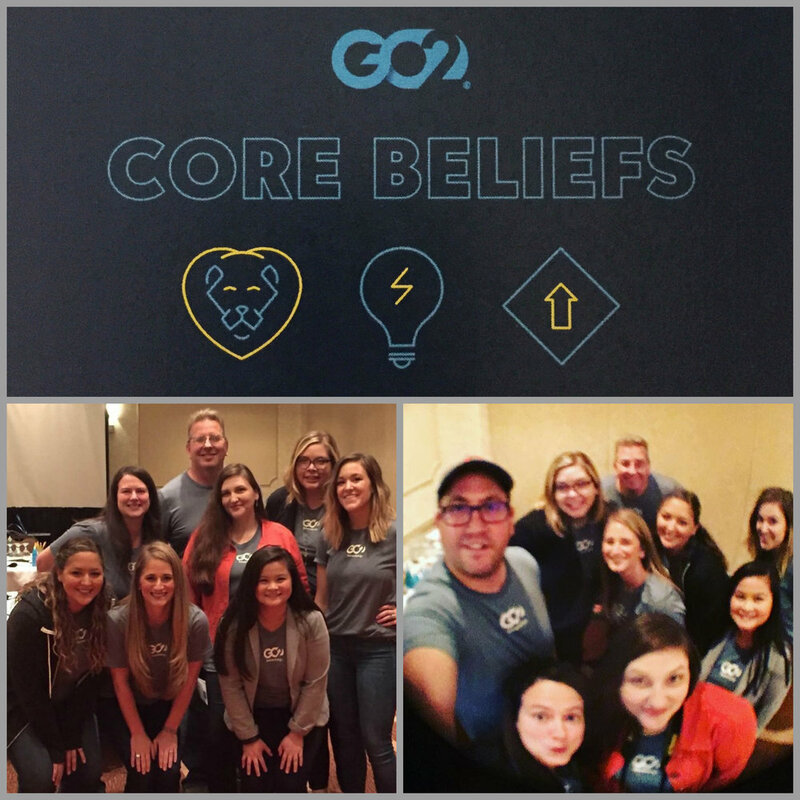 The entire event was wrapped around getting our employees behind our three “core beliefs”. 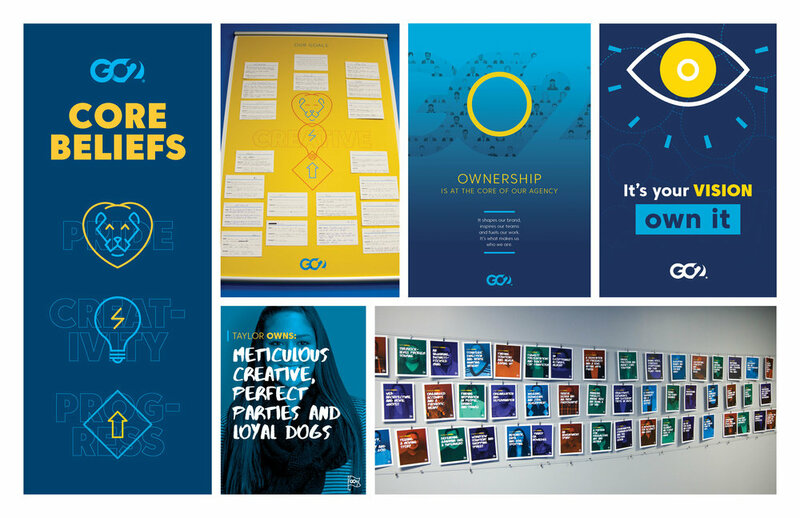 These are Pride, giving each and every employee a sense of ownership, Creativity, bringing imaginative and progressive thinking to everything we do, and Progress, becoming a brand advocate and look out for new opportunities and ideas. As a lead planner of the event, I worked with my fellow employees to strategize our day and plan activities that our co-workers would find value in, but also enjoy doing (not one “trust fall” all day). I designed a majority of the creative used for the day, giving the event an overall energetic, positive and you guessed it, engaged, vibe. The event was a huge success, strengthening our internal culture and uniting each employee regardless of age, role or status. We were honored with a 2017 Bronze PRSA “Cleveland Rocks” Award Winner in the Internal Communications category.